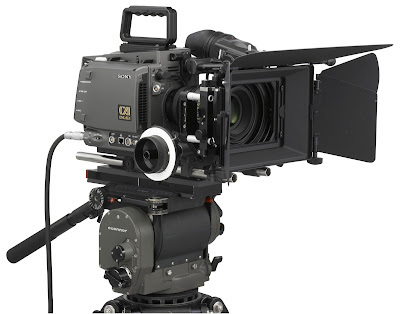 About 95% of Public Enemies was shot with the Sony F23. Do you fall weak at the knees whenever you see a gorgeous…. camera? If so, then we are alike. I love cameras (and yes, I would love a RED). We all know they are a workers tool, and nothing more. But a workman gets attached to their tools, and I am very sentimental about all the cameras I own. So, for all the camera buffs, here is an interesting mann link on the camera used for Public Enemies – The Sony F23 (which unlike the RED, isn’t that pretty). Here is an extract of the article – for the full link, click here. A few months before principal photography began on “Public Enemies,” Mann and Carroll tested the F23 on a series of commercials. On one set, it was mounted to a race car driving at speeds of up to 140 miles per hour. On another, it was handheld with the operator running between football players on the practice field to capture the shots. About 95 percent of the movie was shot with the F23, while the Sony PMW-EX1 camcorder handled shots that required a more mobile tool. For example, the compact EX1 camcorder was used to lens the interior of planes and cars during high-speed chases.